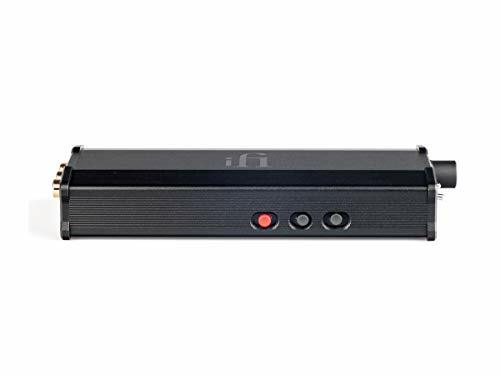 USB or S/PDIF signal conditioning devices, iFi Audio has grown in stature to encompass a wide range of mainly digital products, and has plans to keep on expanding into new areas – including a highly innovative Bluetooth speaker on the stocks claiming very superior performance. 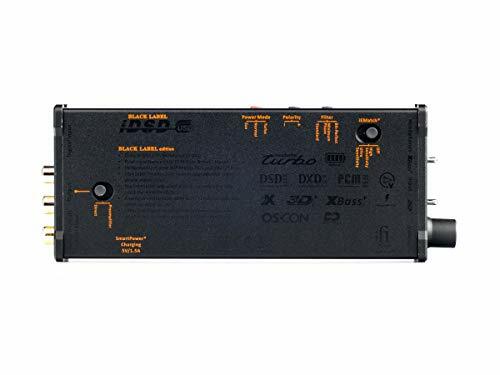 However, two of the success stories of 2018 were its DSD products – the EISA Award-winning xDSD pocket DAC/headphone amp, and the very fine desktop Pro iDSD [HFN Sep ’18]. So with these and a huge range of other digital devices on its books, where should the company go next? The answer is the xCAN, a stripped-back headphone amplifier at £ less than the DAC- equipped xDSD, yet sharing the same fluted metal casework. 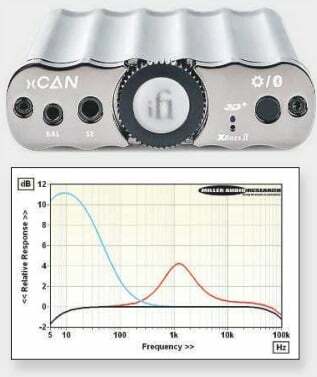 Those of us of a certain age might think ‘xCAN – where have I heard that name before?’, and then recall the tube-shaped Musical Fidelity X-Cans headphone amp launched at the time the company had decided that cylindrical was the new rectangular. Some friends who were into the range had the full set – a phono stage, a tone control, a tube buffer and a power supply – lined up on one shelf of their equipment rack, inviting all kinds of Thomas The Tank Engine comments. 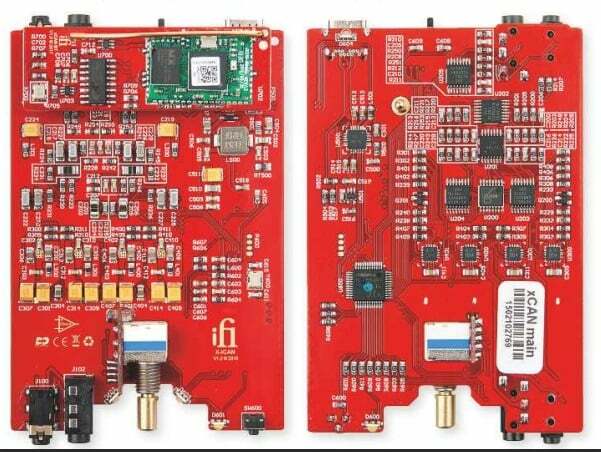 RIGHT: Topside of the PCB [left pic] carries the Bluetooth daughter board [top] with copper wire antenna and ESS ES9023P DAC, the preamp [left] and volume control [bottom]. Underside [right pic] hosts the switching and logic traditional headphone socket, producing a headphone amp based around Bluetooth technology seems to make a lot of sense. Yes, the xCAN does have a 3.5mm line input on the rear, but it seems to be all about wireless connection, using Bluetooth with aptX and the ability to drive a decent pair of headphones, whether on the long commute or simply out and about. 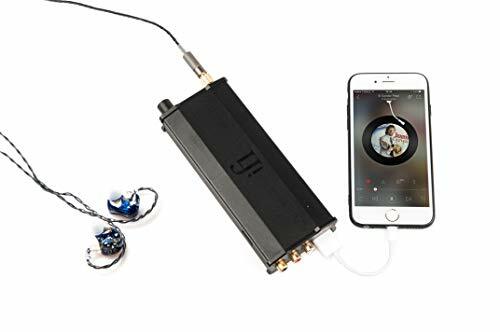 Actually, that’s not quite how iFi Audio sees it, for the company says ‘Our new portable headphone amplifier gives DAPs (Digital Audio Players) the amplification boost they often lack or can work as an amplifier to sweeten streaming from your smartphone. And we’ve added Bluetooth – just to add that Xtra, just because we xCAN’. 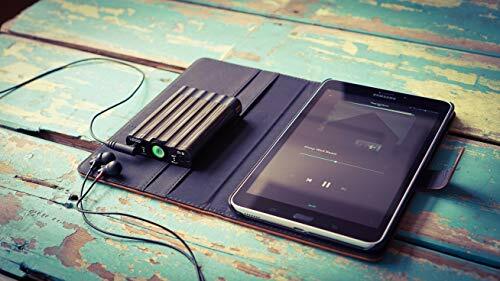 That’s not going to please those who reckon all they need is a smartphone and a pair of Bluetooth headphones to supply music on the move because now they’re being told they need not just a phone, but also a dedicated digital music player and an amplifier in their pocket. Tssk – young people today, eh? 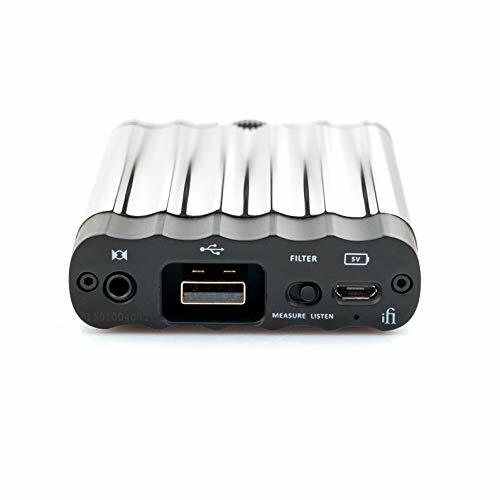 More to the point, those of us with a computer are going to wonder why, with a DAC obviously onboard – after all, it needs it for the Bluetooth feature – the xCAN doesn’t have a digital input to allow a laptop to be hooked up directly, rather than via an analogue connection. 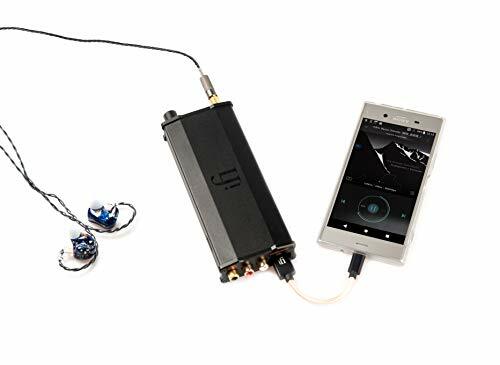 I guess the answer is that such a connection would make the xCAN an xDSD, and iFi Audio already has one of those in its extensive-to- the-point-of-baffling range. 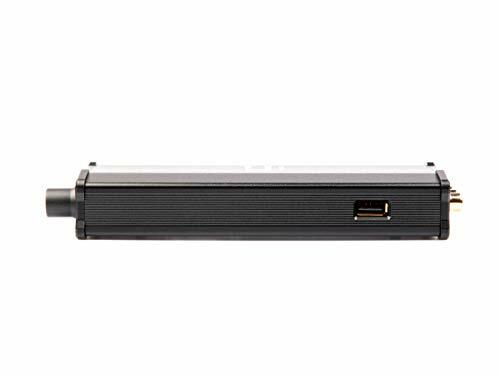 So, the xCAN isn’t a Bluetooth headphone amp, but an analogue-slanted model with Bluetooth built-in by way of bonus. headphones via a standard 3.5mm stereo output or 2.5mm balanced [see PM’s Lab Report, p75J. 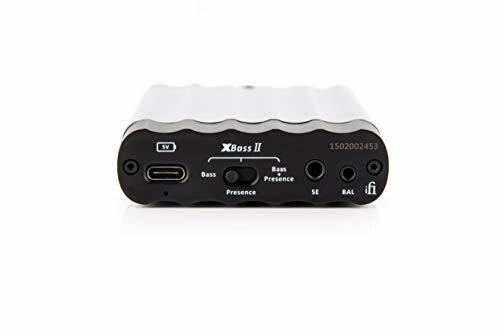 Inputs are provided on the rear of the product on the same choice of sockets, where also lurks a USB-C input for recharging the onboard battery, and a switch to select the amp’s XBass II circuitry [see PM’s boxout, below]. The central control functions as the on/off switch as well as setting volume and muting, with a range of colours of illumination to show the volume level selected. A smaller pushbutton to the right is used for Bluetooth pairing and to cycle through the sound processing settings. These include XBass II and iFi’s 3D+ Matrix, which endeavours to create ‘a holographic soundfield like listening to a pair of speakers’. All the processing options here – including the bass boost and lower- midrange-lifting ‘presence’ modes selected by that rear-panel switch – are enabled in the analogue domain, with no resort to digital signal processing, ‘in order to maintain the clarity and resolution of the original signal’, iFi Audio says. With a fully-charged battery, the xCAN is good for 6-8 hours of use, depending on the headphones and volume levels used – generally in-ear ‘phones tend to use less power than big over-ear models, simply because there’s a lot less diaphragm to shift. 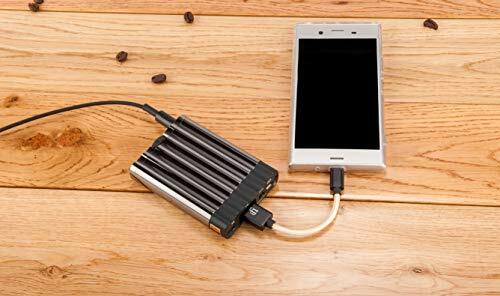 However, those embarking on long trips might want to invest in a ‘powerbank’ battery to keep the xCAN topped up – so that’s something else to go in the pocket! 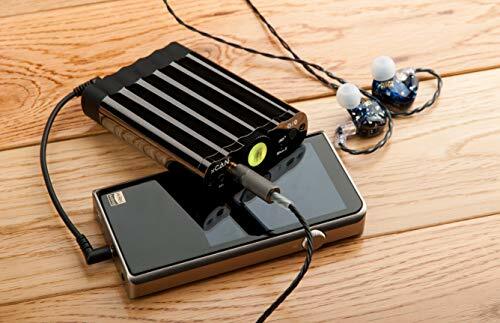 Seriously though, I found the iFi Audio amp more than adequate for most normal use, and for day-to-day commuting the battery life will be fine. The little box connected simply and reliably to the various Bluetooth devices with which I tried it, while the comprehensive package in the box – carrying pouch, USB-C charging cable and short 3.5mm single-ended and 2.5mm balanced interconnects – covered all the wired connection needs. 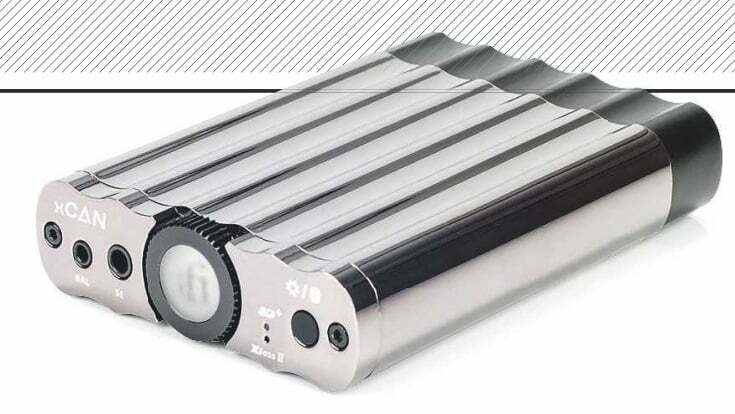 To hear this amplifier at its best I’d recommend steering clear of all those processing modes, however purist they may be in their implementation. Turn on the XBass II bass boost and the sound muddies up and becomes subjectively rather slow in the low frequencies, while the ‘presence’ mode can give an artificial ‘spotlighting’ of performers with high- quality recordings, although it can be advantageous when playing compressed and lacklustre MP3 files. 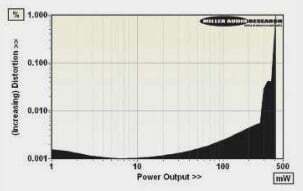 Correlating a headphone’s frequency response, measured at the ‘eardrum’ of an artificial ear, with the tonal balance experienced by most listeners under ‘real world’ conditions has long been the source of debate. What then is the ideal ‘target’ response that engineers should aim for? A simple free-field target response [cyan-coloured trace in our headphone reviews, p68] matches a sound source located in the horizontal plane and 30° either side – ie, where a stereo speaker would typically be positioned. This has been superseded by a diffuse-field response [green trace in our headphone reviews], emulating a condition where the sound has no particular direction. 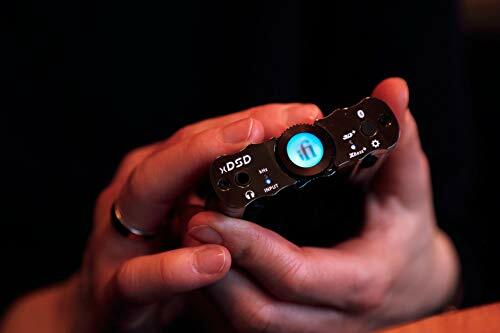 More recently Harman’s Sean Olive has modified the diffuse-field target response to provide a boost below about 200Hz [the red trace in our headphone reviews]. range of musical styles. 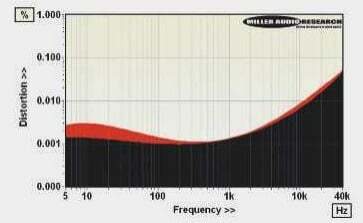 The bass is deep and powerful, the midband has fine clarity and the treble is forceful without ever becoming abrasive. It makes you wonder why the designers bothered with all those ‘enhancement’ modes, doesn’t it? 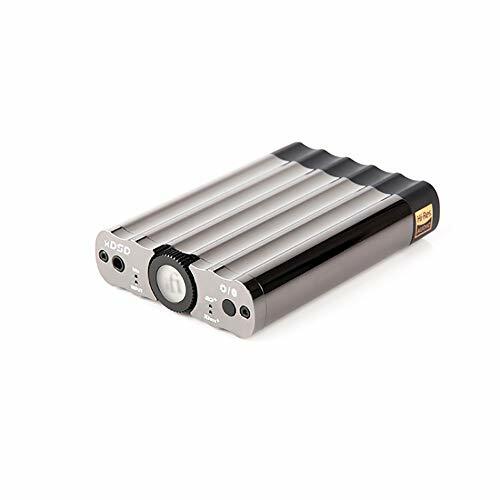 I must admit I preferred the sound of the xCAN when used in analogue mode, fed from a range of digital audio players from Astell & Kern, Onkyo and Shanling – yes, I tried it with the tiny Shanling m0! 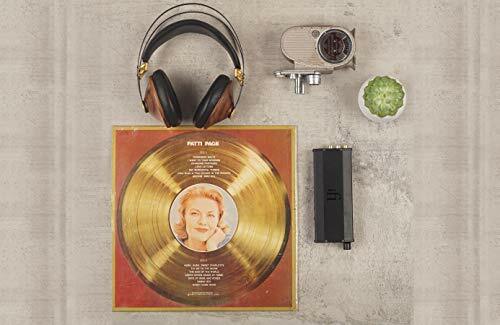 – which all gave a better sound than when using Bluetooth from my iPhone 8 Plus. I’ve never been a great fan of Bluetooth, finding it to give a slightly hazy sound, and here that was definitely the case with the xCAN’s crisp, punchy analogue performance somewhat lacking when using a wireless connection. When the xCAN is good, however, it’s very good indeed, providing a close-focused view of the first Dire Straits album in DSD64 [from Vertigo UIGY-9032], played on the Onkyo DP-S1 digital audio player [HFN Oct ’17] I used for most of the listening. The sense of space around the performances was thrilling without any help from presence-boosting, and the snap and sting of the instruments equally striking. What’s more the xCAN is at home when driving hard with a spot of classic Motorhead, thundering out the dense mix of the live No Sleep Til Hammersmith set [Universal 06025 17855755] with all its savagery intact. 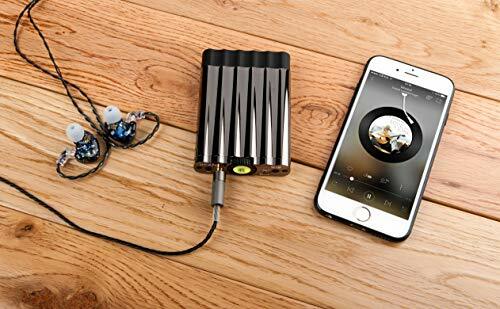 It’s not what you’d call the world’s cleanest recording, but boy is it thrilling heard through a pair of big, punchy cans driven by this little iFi Audio amp. Clean things up with Walter Trout’s Survivor Blues covers set [Provogue 819873018193], and the xCAN is in its element with the resolution and sheer slam available, and has more than enough power to let you crank up the levels. But that same finesse and even-handed approach is just as applicable to something a bit more intimate and restrained, such as Lady Gaga’s soulful ‘Heal Me’ from the excellent A Star Is Born soundtrack album [Interscope 00602567775539], where the production values certainly shine through. With the intricacies of small- ensemble jazz or chamber recordings the xCAN is again able to show what it can do, with remarkable definition and insight into instrumental sound and performances. This is true whether it’s the tight bass of Lars Tormod Jenset and Andreas Bye’s pattering drums on the Espen Eriksen Trio’s Never Ending January set [Rune Grammofon RCD 2173, 96kHz/24-bit] or the virtuosity of Rachel Podger on her re-imagining of Vivaldi’s ‘Four Seasons’ [Channel Classics CCS SA 403 18; DSD256]. With Podger’s violin the xCAN lets the music flow, spark and crackle, delivering all of the excitement of this fresh take on a familiar work. 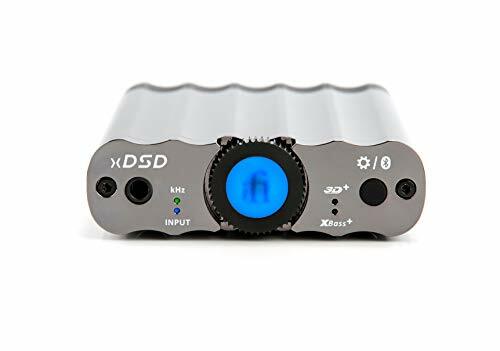 Something of a niche product at just £ less than the mighty xDSD, the xCAN will surely appeal to digital audio player owners looking for a bit more sonic welly. But make sure it has the connectivity you need, and ignore all the heavy-handed ‘sound enhancement’ modes, for it sounds best when used ‘straight’. A simpler, more affordable version, shorn of frills, might be an even more attractive prospect. 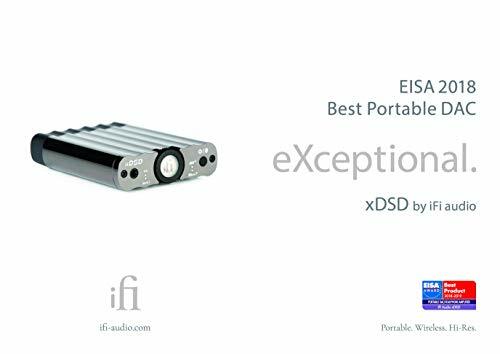 We’ve tested numerous iterations of iFi Audio’s portable headphone amps, including the nano iDSD [HFN Dec ’14], the ‘Black Label’ variant [HFN Apr ’18] and EISA Award-winning xDSD [HFN Jul ’18). all three incorporating DAC and headphone amp functions. 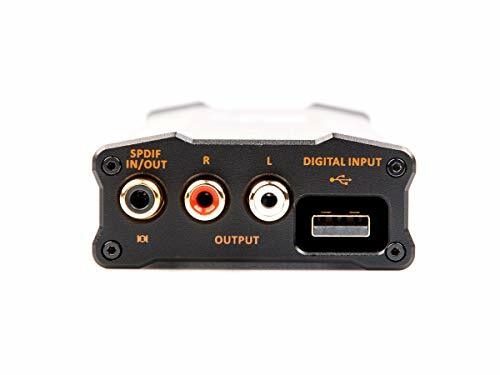 Save for its Bluetooth receiver and companion ES9023P DAC the xCAN is. by contrast a purely ‘analogue’ headphone preamp. It’s also the most capable, exceeding the 115mW, 175mW and 350mW/25ohm single-ended power output, respectively, of its predecessors to deliver 412mW/ 25ohm at 1kHz with distortion falling as low as 0.001% at 10mW output [see Graph 1, below]. 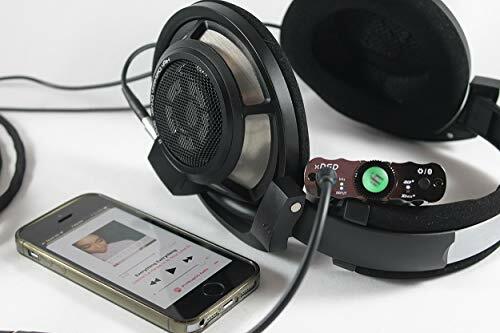 A full 3.38V or 19mW/600ohm is available for high impedance headphones while distortion increases only slightly with (low impedance) loading, and only at very low and very high frequencies. 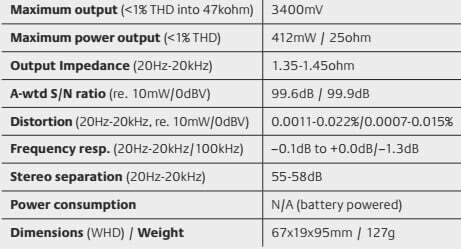 So at IV output there is a lift from just 0.001% to 0.0025% THD at 20Hz and from 0.015% to 0.020% THD at 20Hz between 600ohm and 25ohm loads [black versus red traces. Graph 2 below]. 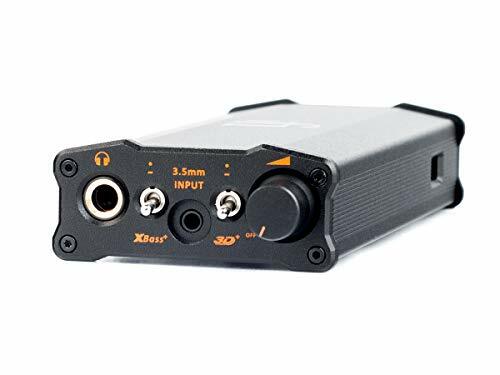 The ‘analogue’ xCAN’s frequency response is not limited by DAC sample rate so reaches out within a tight ±0.1 dB from 20Hz-34kHz right up to -1.3dB/100kHz. The usefully low 1.3ohm source impedance also ensures there’s almost no change in response when driving low impedance ’phones while the power loss into 25ohm is just 0.35dB. 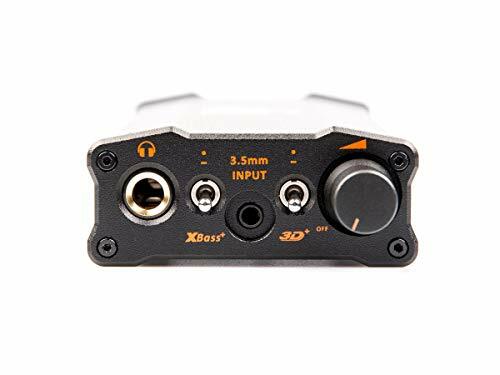 The biggest adaption in bass and midrange response occurs when iFi Audio’s XBass/ Presence control is used [see boxout, p73]. More importantly, particularly from the standpoint of very sensitive earbuds/ headphones, levels of residual noise are very low at -100dBV (10 muyV). something that is not a given even with battery-powered preamps. The A-wtd S/N ratio is also usefully wide at 99.9dB.